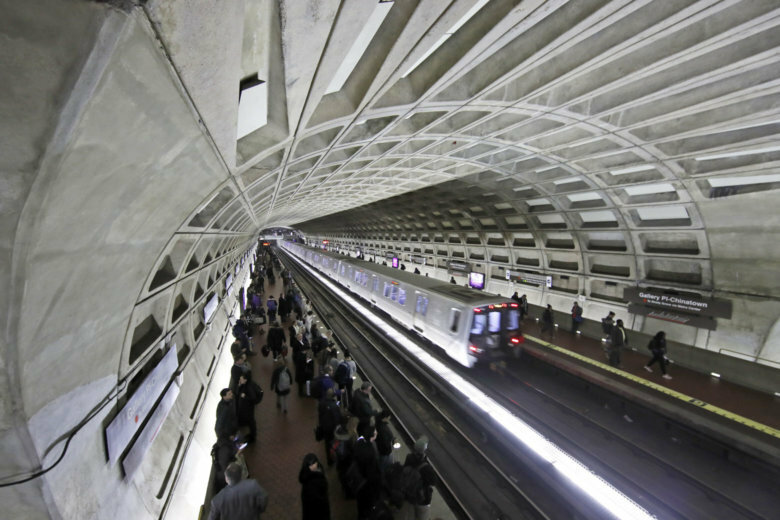 WASHINGTON – The Metro Board is expected to formally support keeping cuts to hours through June 2019 at its Thursday meeting after they were implemented last year. The board had already approved the cuts as part of the budget for the coming year. Thursday’s vote provides support for part of Metro management’s reason for cuts – additional maintenance time on the tracks. Monday – Thursday: 5 a.m. to 11:30 p.m.
Friday: 5 a.m. to 1 a.m.
Saturday: 7 a.m. to 1 a.m. Fewer work zones in the limited hours in the middle of the day and more time added through evening single-tracking before the system closes, means crews are spending more of their shifts working on the tracks and less time waiting for permission to start, Metro said. Some Metro Board members have asked whether there are other ways to make work more efficient, especially since the switch from midnight closings Monday through Thursday to 11:30 p.m. only added a few minutes of active track work time. The other service cuts, to 1 a.m. closings Friday and Saturday nights and service only between 8 a.m. and 11 p.m. on Sundays, were meant to add significantly more available track work time. The agency has saved money by operating fewer trains since it cut back from the previous hours of midnight closings Sunday through Thursday, 3 a.m. closings Friday and Saturday nights, and 7 a.m. openings on Sundays. In addition to regular track work that had been needed in the past, Metro has added or restored preventive maintenance and testing over the last year or two, in some cases for the first time. Metro is testing about one in four of its power cables this year and attempting to identify track areas where electricity may not be properly contained. It is detecting problems through limited testing of some segments of track, maintaining switches, tightening nuts and bolts that help hold the rails in place on bridges and tunnels, resurfacing about half of the area where the tracks sit on stone ballast and doing some track cleanup in tunnels. The track cleanup has been restricted in areas where other testing is going on. The Metro Board is also set Thursday to eliminate the W9 bus route to the U.S. Coast Guard headquarters at St. Elizabeth’s west campus in Southeast. The Coast Guard no longer wanted to fund the cost of the route between Anacostia Station and L’Enfant Plaza, but will continue to pay for extended A4 bus service to the campus from the Anacostia Station. The A4 will be scheduled every 10 minutes during rush hour and every 20 minutes at other times. More than 95 percent of the W9 riders are associated with the Coast Guard, a Metro survey found. The Coast Guard had been covering the W9 subsidy cost since the headquarters opened in 2013.